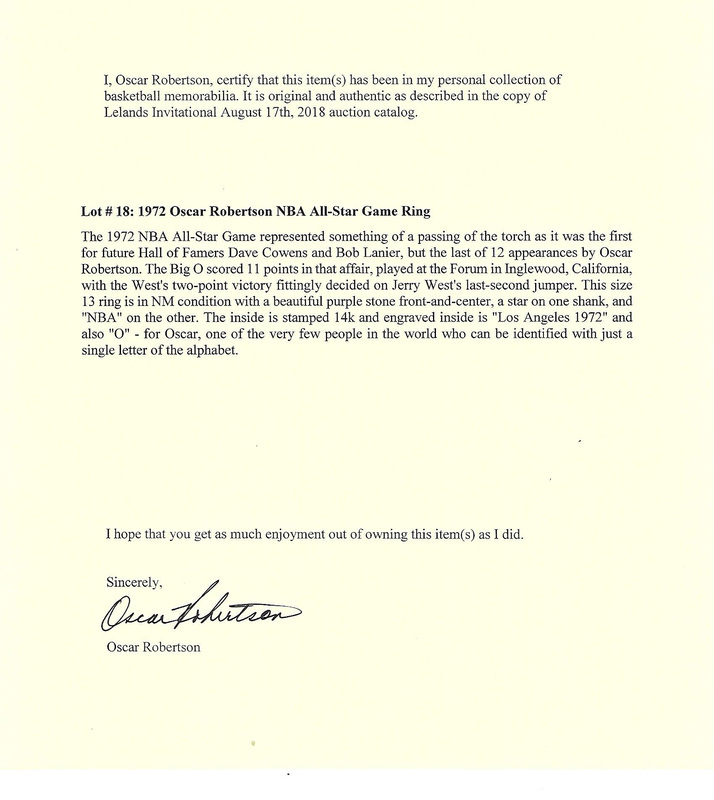 1972 marked Oscar Robertson's twelfth consecutive NBA All-Star game appearance, it also happened to be his finale as an all-star. The Big O dropped 11 points and added 3 dimes in his final showdown against the Eastern Conference. 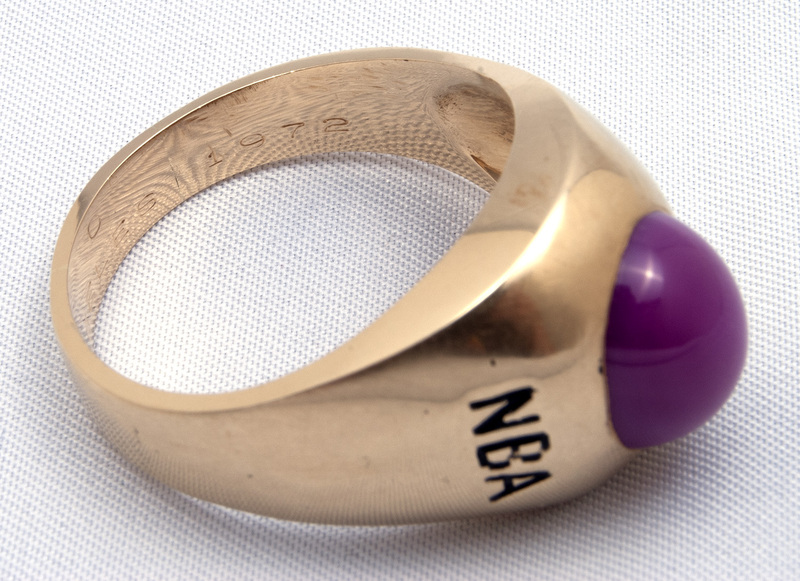 The game was decided by two points in favor of the Western Conference thanks to Jerry West's buzzer beater at his home venue at the Forum of Inglewood, California. 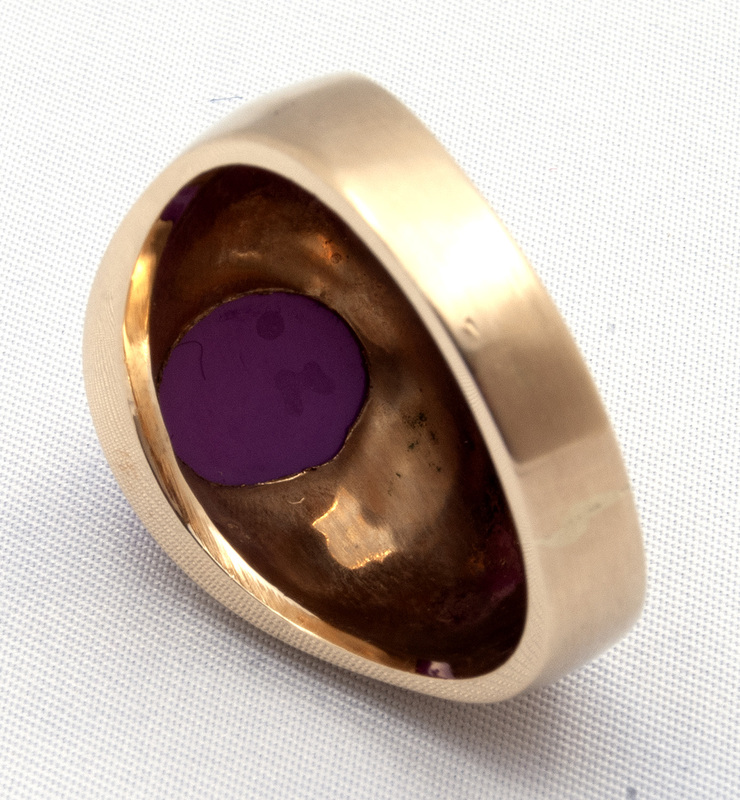 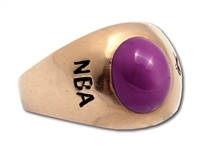 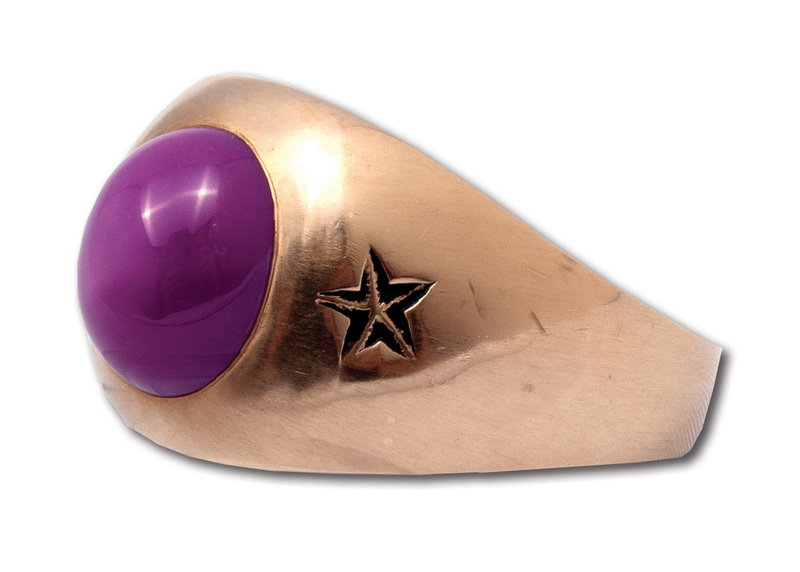 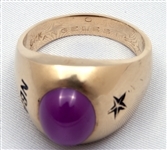 This size 13 ring is in NM condition with a stunning purple stone taking up the face. 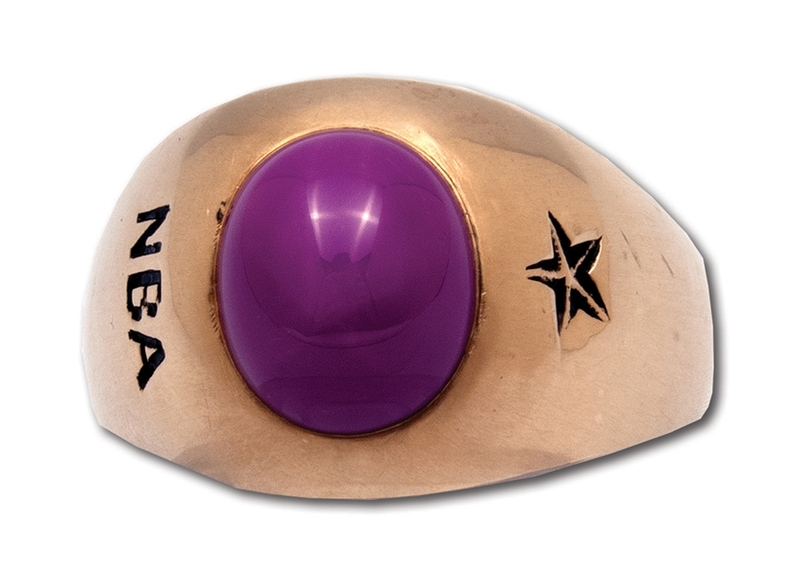 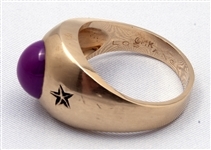 A star appears on one shank and "NBA" on the other. 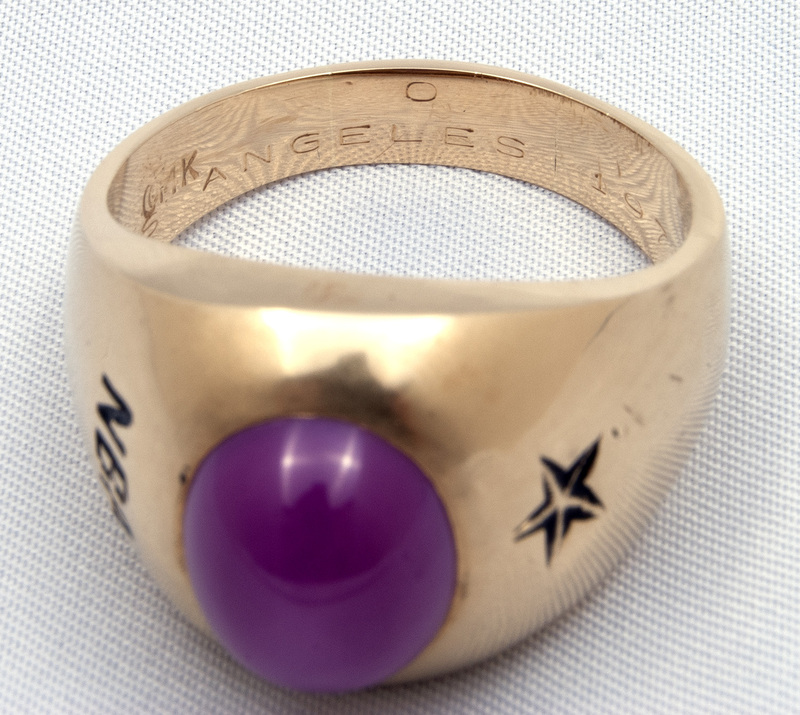 The inside is stamped 14k with an engraving inside that reads, "Los Angeles 1972" and also "O" for Oscar.